Mayoral Candidate puts forth new transportation plan! In a surprise move, Olympic Bob-sledder Kaillie Humphries has put her hat in to the next Vancouver Civic elections as a mayoral candidate. Capitalizing on her brilliant performance in the 2014 Sochi winter Olympics, where she and fellow Canadian brakeman Heather Moyse won the Gold medal, she has announced she will enter politics in her newly adopted home city of Vancouver. She will run as an independent in the next municipal elections. As she opened her announcement speech with an emotional statement, she quickly alluded to her desire to serve the people of Vancouver by taking a new approach to regional transportation. Building on the notion of bike lanes being prevalent in the region, her plan introduced a relatively new form of transportation; Rocket powered Bobsled. The idea has been discussed in many areas of the country from Ottawa to Calgary yet it is a new idea for most Vancouver residents. Bobsled tracks would be built beside existing bike lanes to provide space for bobsledders to practice their sport while alleviating traffic on main corridors. The City of Vancouver has already endorsed the idea stating it solidly believes that building the bobsled corridors will entice many people to get out of their cars and into bobsleds. 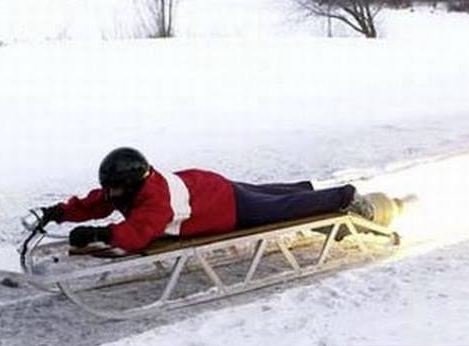 Seen above, a prototype of a rocket powered bobsled is both eco-friendly and provides a very cost effective and comfortable transportation medium. 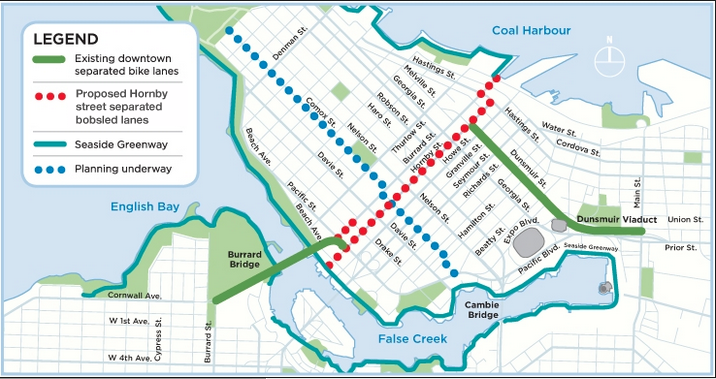 The initial transit corridors are meant to co-exist with the bike routes used, starting primarily in the downtown core. City of Vancouver Councillor Geoff Meggs, Vice-Chair of the Standing Committee on Planning, Transportation, and Environment, has noted that the plan will reduce stress on our congested streets and provides a new way to commute that will attract hundreds of new users. He expects many of the current cycling population will also move over to the newer and more environmentally friendly form of transportation. He stressed that the pilot will involve some street modifications to provide for the snow making machinery on the Hornby Street route. Kaillie announced her plan to the delight of many however some in the audience were not as supportive of the plan. One resident noted that building more alternative vehicle infrastructure comes at the cost of automotive freedom. Despite alarming statistics on global warming and the need to reduce CO2 emissions, some still feel it is an inalienable right to use automobiles. To react to the comment, a spokesperson for the City of Vancouver responded "Boyahh! Who's your daddy?". Construction of the new lanes is expected to begin almost immediately after the next municipal election. The lanes should be open by late fall 2014.